Designerz Central take the opportunity to present exclusive interview of fashion designer Munib Nawaz. 1. Tell me something about your learning history, your label history? 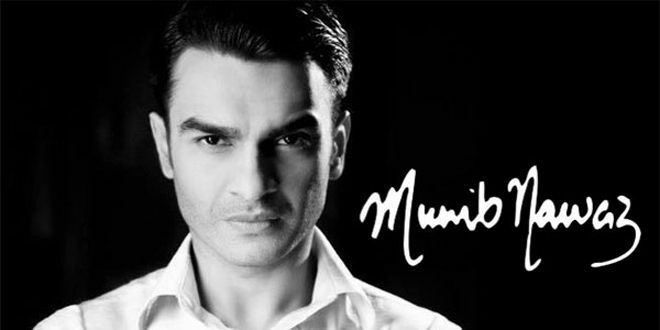 The Munib Nawaz brand was launched in 2003/4 fall as a contemporary men’s wear label for the style connoisseur male. The label instantly received critical acclaim, with features in the leading publications of the country, nominations as the best men’s wear designer and became the go-to designer for the celebrities. Launched our first self-operated boutique in 2008 and have been growing our network of stores domestically. Internationally, participated in the Miami Fashion Week 2009 where Munib Nawaz was awarded the “best international men’s wear designer”. 2. What is your philosophy regarding the art of fashion designing? As a designer staying true to the art of design is the hardest part in the world of extreme commercialization of everything, however my personal philosophy is to design what is unseen and felt. Design is in the details. Masculine, classic with a little rockstar chic, clean with rough around the edges, attention of detail are the key items of our brands design philosophy. 4. Do you have jewelry and accessories line? No, however a mens accessory line is in the works for next fall. 5. When did you start men wear clothing? I started men’s wear designing when I was 16 as an intern for a leading traditional men’s fashion house in Pakistan. 6. Do you offer PRET Line for the middle class people? Our brand prides itself in being a value provider for our segment of customers. We do carry a ready to wear line and are always trying to add more product depth in our line so that we can cater to the entire lifestyle needs of our customers. 7. What skill do you think are necessary to become a fashion designer? PASSION.PASSION.PASSION. everything else is secondary. First and foremost is your undying desire to be someone who loves to design! With design I mean create not recreate. After that comes the responsibility of being original! Then understanding fashion, fabrics, tailoring and most importantly understanding how to run an efficient business enterprise! 8. So it is not only about being creative? No it is not sadly. Many creative designers don’t make a name for themselves on a global front due to the lack of peripherals that are required. Effective financial management skills are key in order to be successful, marketing is the lifeblood of any business, so in order to become a great designer, a person must either have most of these skills themselves or be able to hire people who can support them in these departments. 9. Who inspired you to come in this field? Giorgio Armani! There’s so much about the brand that I admire that I cant start writing. That designer, that brand is a perfect example of creativity harmonizing with commercialization! 10. What is the importance of innovation in fashion designing? There’s so much innovation that’s happening in the world of fashion that its hard to point a finger at one thing and by the very next minute theres something else coming around. The 3d printing is the next wave, holographic fashion shows, optitex are all exciting prospects for men thesedays. 11. In the recent years, a lot of new designers are coming. Do you think it will saturate the market or is it a good sign for fashion industry? Yes! Designers are what keep the industry alive not vice versa. The more people keep coming in, the more injection of new life is added to the industry, some bring freshness and sustain, some fade, that’s the way the system works. 12. Do you believe in fate? Is fate important for high rankings in this field? I remember someone telling me, “I believe in luck, the harder I work, the luckier I get”. I do think being at the right place at the right time is important but if you work hard and work smart, your efforts guide to the place and time you should be at but the key is persistence! 13. What do you do in your spare time? Spend time with family as much as I can now that I am a dad, I want to spend as much time as I can with my son, when he’s asleep I try and go to the gym. 14. Dress makes a man or a man makes a dress? 15. What advice will you give to the upcoming designers? Be original, bring your own cake to the industry so everyone can have a taste of you rather than you being the designer who eats off the industry. 16. Who are your favorite photographers? I have a diversified taste, for me its always about liking new things but if I was to name some people whose work I have admired would be Khawar Riaz, Maram & Aabroo, Guddu&Shani. 17. What is the latest fashion purchase? I am not a big shopaholic. Cole haan is a brand that ive come to wear more often for my footwear so I got some shoes from them in my last US visit. Ever changing. I only have a favorites for the moment and it can change with every passing day. Also my favorites are dependent on the project at hand. 19. Favorite make artist for your shoots? Again, these would be dependent on the shoot that I have envisaged, every H&M artist has their own specialties and I work with them based on the project at hand. Id have a different favorite for an outdoor shoot, different for a catalog shoot and a different preference for an editorial. 20. Which city of the world is the best for fashion industry and why? There are so many fashion centrals in the world and they have their own awesomeness. Paris has its fun quirky side, new york has its booted up uber chic style that I love! London has a certain romance, Milan has a life that very cities can match so for me I love living the time and place I am at.